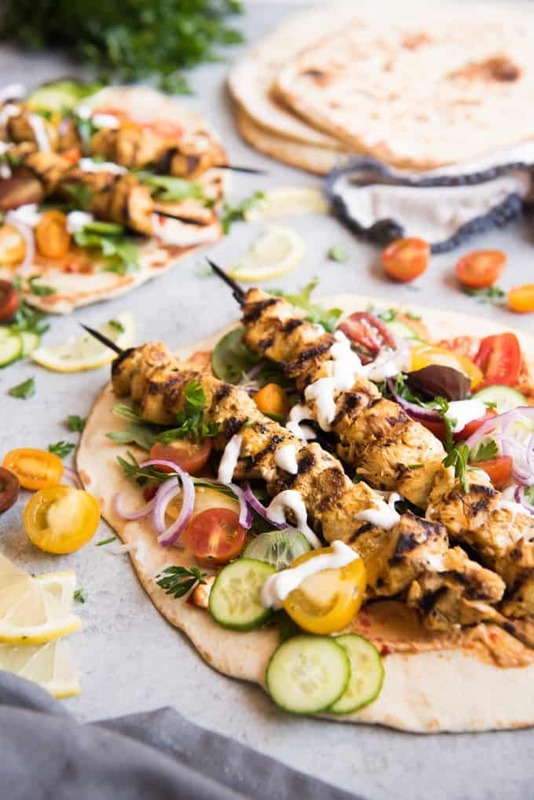 Grilled Chicken Shawarma Wraps are inspired by middle eastern street food where chicken is marinated in spices and then roasted on a spit to perfection and wrapped up in flatbread for a delicious sandwich. Beats takeout or fast food any day! 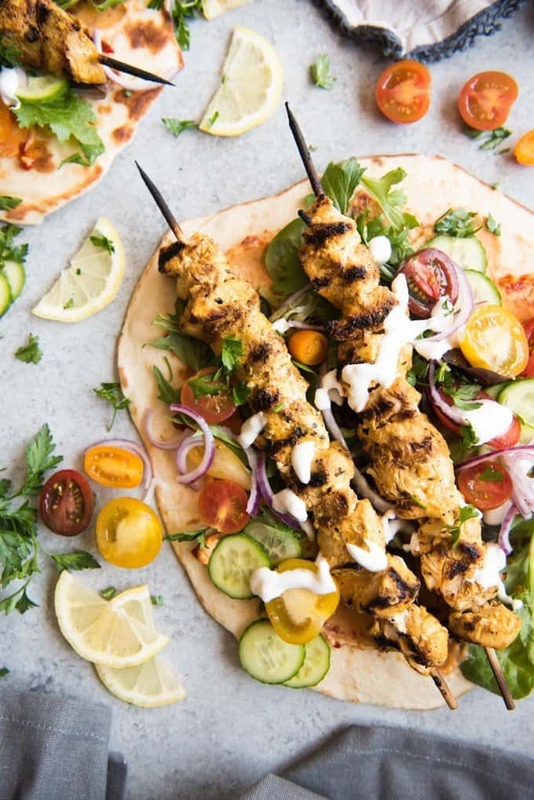 The flavor is exotic but the spices in these Grilled Chicken Shawarma Wraps are pretty much every day! Plus, you can start the chicken marinating ahead of time to minimize the prep before dinner. Full disclosure: The only countries I have been to in the middle east are Turkey and Egypt (which I’m not even sure is truly considered part of the middle east). And while I have a teeny, tiny bit of middle eastern ancestory according to my DNA results, I most definitely was not raised on middle eastern flavors. That said, I’ve done my best to research and recreate a chicken shawarma recipe that uses spices and flavors that would be at least close to a flavor profile of a true, authentic chicken shawarma wrap. See, while I’m only very minimally middle eastern in genetic makeup, our youngest daughter is predominantly middle eastern according to her DNA test. Both our girls were adopted and a while back, before I ever started House of Nash Eats, we had our whole family tested to see what our results would be. It was fascinating and eye-opening for us, as I talked a little about in my Dublin Coddle post, and it got me thinking about exploring each of our genetic histories and ancestries through food. And incidentally, I really think should be spelled ancestories rather than ancestries because I like the idea of learning the stories and history of where you come from, not just names and dates. We should make it a thing. Who’s with me? So this recipe for Grilled Chicken Shawarma Wraps was motivated by my desire to incorporate more Iranian/Persian cuisine into our meal rotation. It’s a way of embracing the beauty of culture and heritage and adoption for our girls which I hope will give them a sense of identity and confidence and strength as they grow up. It’s also why I often post recipes like Crispy Mexican Slow Cooker Pork Carnitas or Slow Cooker Mexican Shredded Beef – I’m trying to be sensitive to cultural appropriation while still understanding and exploring where we come from since both of our girls have Hispanic heritage as well. 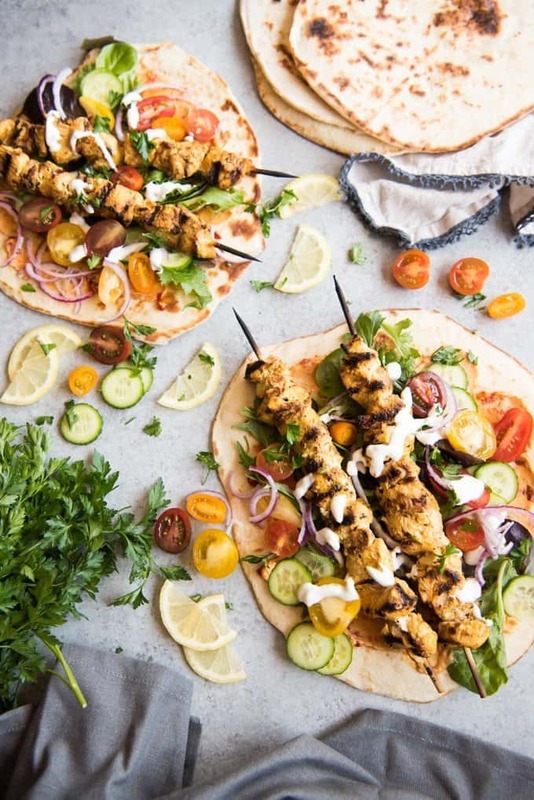 All that said, these Grilled Chicken Shawarma Wraps have all the flavors of the middle east like garlic, lemon, yogurt, crispy fresh cucumbers, tomatoes, and soft flatbread along with a good handful of middle eastern spices, of course, all of which you likely already have in your pantry. 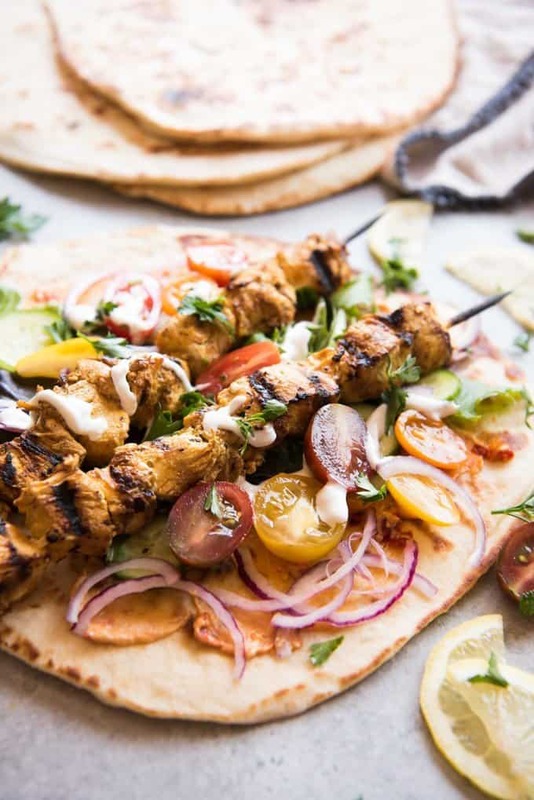 Traditional shawarma is slow roasted or grilled on a spit for as long as a day. 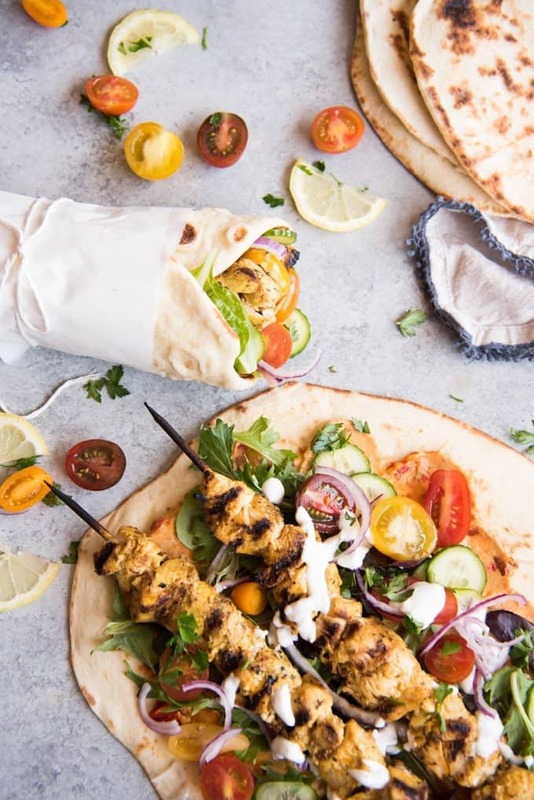 It’s basically street food that can be made with chicken, beef or lamb and is served as a wrap or sandwich type meal on a flatbread like a pita or naan with a garlicky yogurt sauce to go with it. It’s a great way to break out of your chicken routine, which I’m always trying to do. 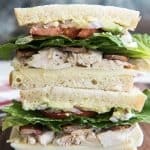 If you are in similar circumstances, definitely also check out my Grilled Cajun Chicken Breast Salad with Creamy Cajun Dressing! I opted to skewer and grill my marinated chicken to incorporate a bit of that smokey char flavor, but you could just as easily roast chicken breasts or thighs whole in the oven and then slice them if grilling isn’t a good option for you, and I’ve included those instructions in the recipe notes. Lately though, I’ve been loathe to turn on the oven and heat up my kitchen any more than necessary so the grill has been doing the trick for me, plus it’s faster than roasting. 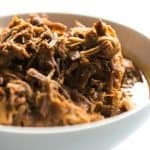 Also, you can use either chicken breasts or chicken thighs with this recipe, depending on your preference, although thighs are probably going to give you the more authentic experience and result in a richer chicken shawarma. This grilled chicken shawarma would be wonderful as-is served right on the skewer with rice pilaf and tabbouleh or as a protein added to a salad with a Greek Vinaigrette or other dressing (totally what I did with the leftovers the next day, which were just as delicious as day 1), or you can wrap them up with hummus and veggies and of course, a wonderful garlic yogurt sauce. 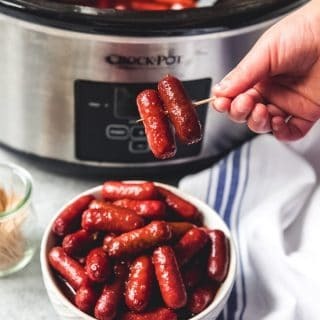 If you love this recipe, and try it yourself, let me know! I love when readers take a picture of things they made from the blog and tag it #houseofnasheats on Instagram so I can see it and will always try to respond! And I would love to hear of any dishes that you cook that remind you about your heritage, whether that heritage is familiar to you or not! 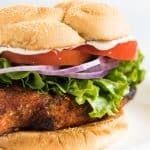 In a large Ziploc bag or glass dish with a tight-fitting lid, combine the chicken breasts with all of the marinade ingredients and shake or stir to coat chicken thoroughly. Marinade in the refrigerator at least 1 and up to 12 hours. Once the chicken has marinated, thread chunks of chicken onto skewers. It helps to soak wooden skewers in water for an hour before grilling to prevent them from burning on the grill. Heat grill to medium high heat, then grill the marinated chicken skewers for 10-12 minutes, rotating periodically, until done and no pink remains on the inside of the chicken. Prepare the garlic yogurt sauce by combining all of the ingredients in a small bowl and stirring well. Store in the refrigerator until ready to use. 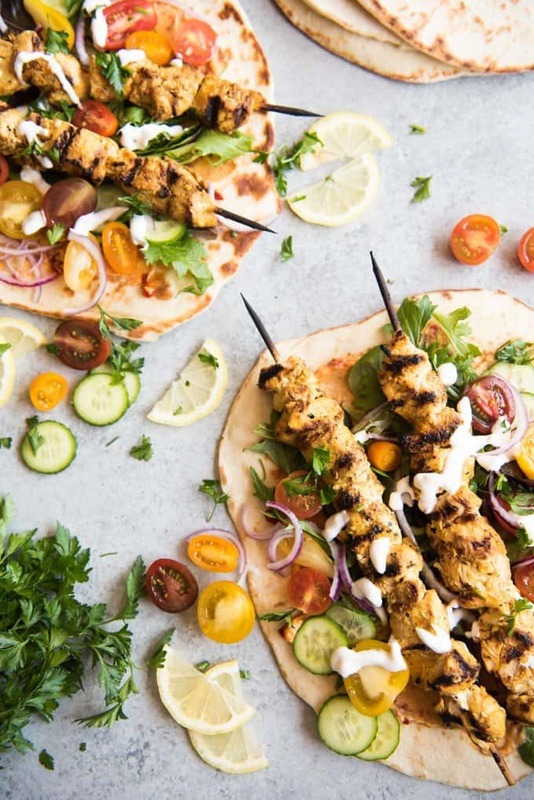 Assemble each wrap by spreading a couple of tablespoons of hummus on a large piece of naan or flatbread. Top with a handful of chopped Romaine lettuce and grilled chicken shawarma (removed from skewers). Add cherry tomatoes, sliced cucumbers, avocado, and red onion, then drizzle with some garlic yogurt sauce. Sprinkle with feta cheese and freshly chopped parsley, then wrap up and serve. If you opt to roast your chicken in the oven, just pierce the meat with a fork a few times before adding to the marinade to allow the flavors and spices to really get in there. After marinating the chicken, transfer it to a 9x13-inch baking dish and roast for 40-45 minutes at 425 degrees until cooked through. If you want, you could finish it off by broiling on high for a few minutes until the chicken is crispy on the outside. Be sure to let the chicken rest for 5 minutes outside of the oven before slicing it and using in wraps or on salads. I love grilled chicken skewers especially in this weather. 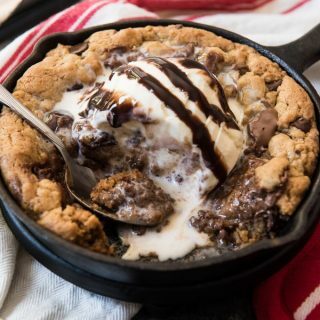 This looks so darn delicious. I love the flavor combination. Yun! The flavors in these sound like they would taste amazing! 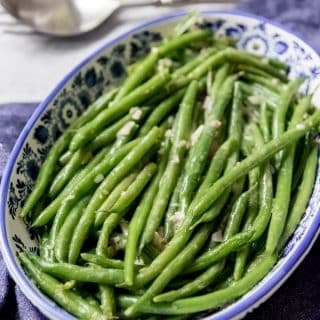 What a great summer dish! I love all the fresh tomatoes and cucumbers! You are right, who needs takeout when you can make delicious food like this at home….for so much cheaper. These sound full of flavour, look beautiful and would feed a crowd. 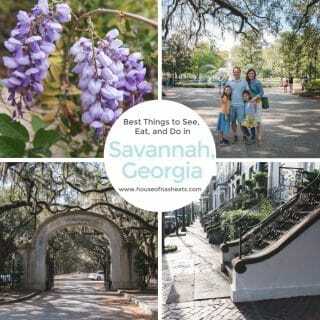 Entertaining perfection!! I’m so tempted by this recipe, I’ll be trying it soon! I like “Ancestories” so I’m with you! 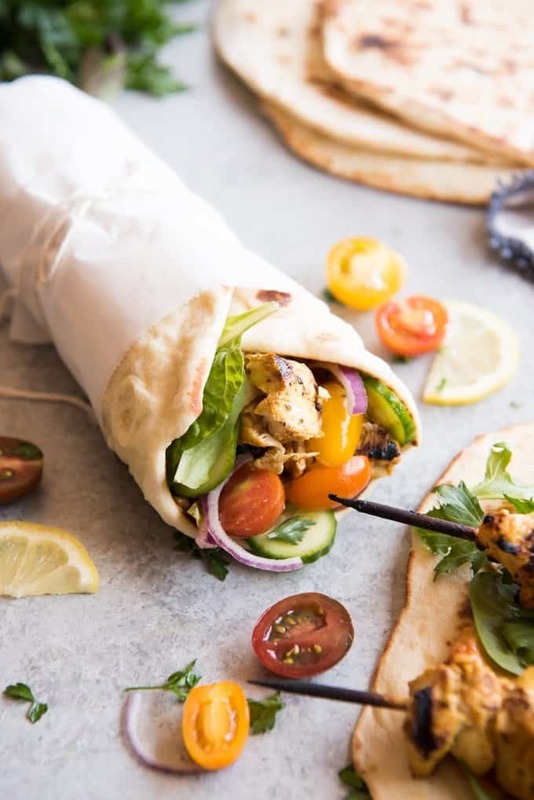 Love love love chicken sharwarma, I think your recipe sounds amazingly delicious! Can I also say, I love how you want to still embrace your daughters’ heritage and culture, it’s a beautiful thing! 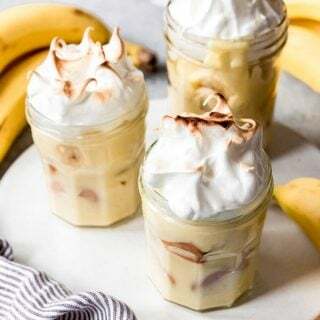 These look so yum that I wish I could grab them out of the screen and eat right away.!! I love shawarma and grilled chicken sounds amazing together. This recipe looks amazing! I love the combination of flavors you use. I can’t wait to try this. Thanks for sharing! 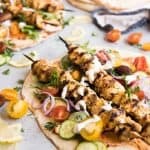 I love chicken shawarma and these look so flavorful! Love your story about spelling it ancestories vs. ancestries too – I agree 🙂 I’ve been wanting to have our family DNA tested too because I’m so curious! This is my idea of a perfect summer meal. It looks fantastic! Looks like the perfect meal for the grill this summer! Makes me want to have a dinner party! The photos are absolutely stunning as well! Grilled chicken skewers is great I like to spiced up one. you version also has lot of spices that is my weakness and is also delicious. I like the idea of you served with Naan. It is so cool to learn more about your ancestry! Loved reading about yours. And these wraps are perfection. 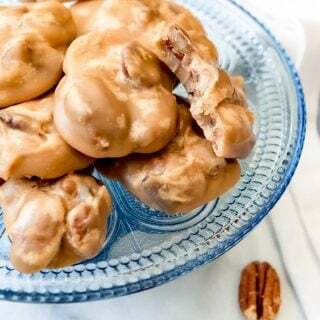 I love exploring your ancestry through food, I love the thought of calling it ancestories, and I love this recipe! Great post! These look amazing! I think they would make a fabulous lunch!! I am obsessed with this recipe. 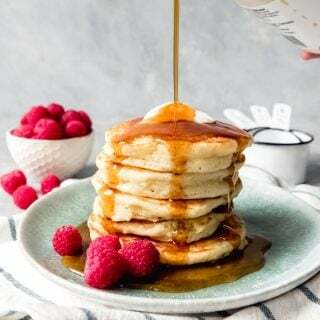 I have almost everything I need to make it happen and we are SOOOO making these tonight! It’s my obsession too! If you try it I would love to hear how it turns out for you! We never think of making our own shawarma, but we totally should after seeing yours! I bet your shawarma is better than take out, so full of fresh aromatic flavors! 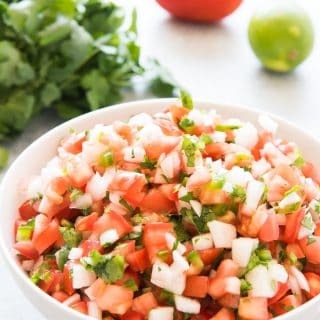 This is such a great recipe to serve for parties or just a weeknight meal. Going on our list!